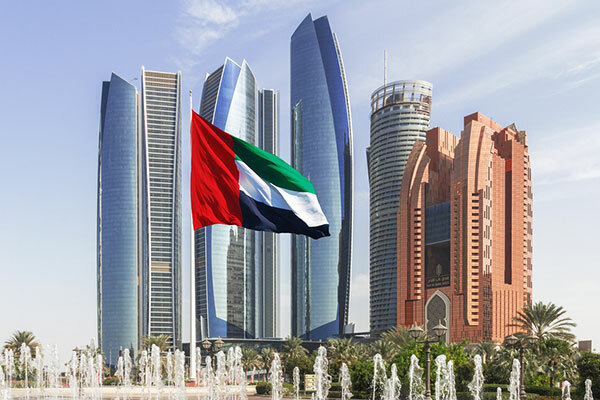 The United Arab Emirates (UAE) has the most competitive economy in the Mena region, said a new study from the World Bank Group and the World Economic Forum. The Arab World Competitiveness Report 2018, launched today, ranked the UAE as the 17th most competitive country in the world. The other Mena nations to crack the top-30 globally were Qatar (25th) and Saudi Arabia (30th). The rankings are based on 12 factors, from education to infrastructure, that are critical for productivity and economic growth. “The world is adapting to unprecedented technological changes, shifts in income distribution and the need for more sustainable pathways to economic growth,” said Mirek Dusek, deputy head of Geopolitical and Regional Affairs at the World Economic Forum. The report found that in recent years, countries in the GCC have made a concerted effort to support innovation and provide crucial seed funding to start-ups. For example, Saudi Arabia created a $1 billion fund to invest in small and medium enterprises, while Bahrain ($100 million) and Oman ($200 million) have also launched funds to support start-ups. In Lebanon, the central bank pledged to invest $600 million into innovative firms. Finally, the central bank of Egypt is pushing banks to gradually raise their financing for smaller businesses to 20 per cent of their total credit portfolio by 2019. “We hope that the 2018 Arab World Competitiveness Report will stimulate discussions resulting in government reforms that could unlock the entrepreneurial potential of the region and its youth,” said Philippe Le Houérou, IFC's CEO. Angel investment networks are also growing in a few countries in the Arab World, especially in UAE where investment in tech start-ups have jumped from to $1.7 billion from $100 million over the last couple of years. These networks are critically important as they provide financing, mentorship and market-access connections to entrepreneurs. The report said governments could improve the entrepreneurial ecosystem by drafting more policies that encourage risk-taking and innovation, and creating legislation that is supportive of angel investors and seed funds. The report recommended countries diversify their economies and move away from a model of government-led growth and lessen reliance on natural resources exports. It commended countries that made significant progress in infrastructure development to enhance competitiveness. For example, in GCC countries, the total value of infrastructure projects amounted to $2.7 trillion in 2017. In North Africa, Egypt invested in a new extension of the Suez Canal and is expanding two of its major ports, while Morocco's Tangier-Med Port, has become one of the main gateways to the Mediterranean, and is set to become one of the largest ports in the world once its expansion is completed.